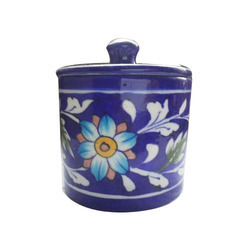 Fine Decorative Blue Pottery Spices Box Available In Different Designs & Sizes. A colorful ceramic tile is painted with your letter of choice and nestled atop a charming, A Letter Ceramic Tile Storage Box, handcrafted wooden box, creating storage space for small treasures as well as a stylish accent to your décor. - Length 4" x 5". Being a foremost organization in this industry, we are actively engaged in offering the finest quality range of Blue Pottery Ceramic Box. A beautiful box made of wood and ceramic. 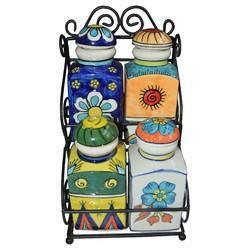 It can be used to store small stuff or can be used for decorative purpose as well. Ceramic Box for Chocolates and Dry Fruits. We are Manufacturing All types of Packaging( Corrugated ) Boxes. Our production capacity is 25000 Boxes / Per Day. We can offer Fast service with any Big Quantity with Rock Bottom prices.contact us With your Detailled & Specific Requirements on our postal Address with Required Quality sample. We will try to Respond you as soon as possible. All Flame products are handmade and fired at high temperature 1300°C. All the glazes are lead-free. Thermocole granite tile packing boxes are used to pack and transit tiles carved and polished out of worthy granite to avoid transit damage such as cracks and scratch.